Nature's elements and electronics don't mix and everything from your big-investment devices to your tiny memory-saving flash drives need protection from the grit, grime and precip of the natural world. E-Case's eSeries 20 case has room enough to safeguard multiple devices, cables, chargers and valuables without sacrificing full use of smart device features and controls. Nature&apos;s elements and electronics don&apos;t mix and everything from your big-investment devices to your tiny memory-saving flash drives need protection from the grit, grime and precip of the natural world. 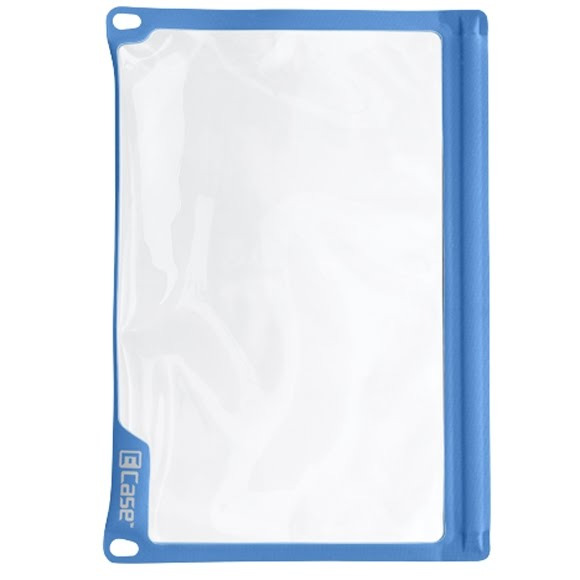 E-Case&apos;s eSeries 20 case has room enough to safeguard multiple devices, cables, chargers and valuables without sacrificing full use of smart device features and controls. Ultra-clear urethane windows allow full use of touchscreens, cameras and audio functions. Every case is individually tested to meet IPX7 standard of withstanding submersion in 1 meter of water for 30 minutes. One-step, waterproof SealLock zipper and rugged RF-welded seams guarantee protection from the elements. Die-cut lash points for tethering. Fits Samsung Galaxy Note 10.1, Galaxy Tab 3 10.1, Motorola Xoom, and other 10 in. tablets. Measurements External: 8.8 in x 12.2 in. Volume Internal: 7.75 in x 11.8 in.